sunnysidey: Swap-bot - my new obsession! I'm not yet established there, as only one of my items has been received and rated, but my new obsession is Swap-bot! 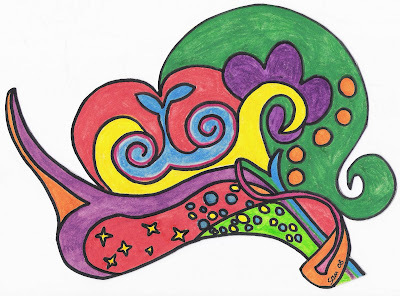 The first pic is the flipside of my note paper drawn when I was in a psychedelic mood. 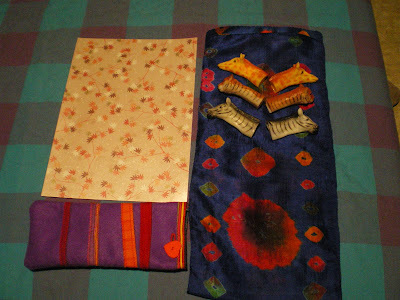 Second pic shows a tie-dyed silk scarf, a piece of pretty paper, six animal finger puppets and a glasses case made by me. I hope the package gets there okay; I sent it about ten days ago!